I’m reading a book called Receiving Love by Harville Hendrix, PH.D and Helen LaKelly Hunt, PH.D that I’m finding fascinating. I’m sharing it because I am an avid student of the connection between a healthy mind and a healthy body and I am a healing arts professional, working with hurting people every day. We are social beings, we are in relationships, and we grow through intimate connections and interactions with one another. The ideas approached and discussed in this piece are only a small representation of the work of these two pioneering authors, I hope that in explaining a few of the ideas in the book, I’ve done their work justice. Didn’t know that you had a “lost self”? We all do. Parts of our being and personality have had to be suppressed/disowned as we were growing up to be accepted and literally, to survive. Before you begin, make a list of the annoying traits of your spouse – or if you’re single, those found in a significant other – that irritate you most. 1. Acknowledge that your partner or loved one has traits that activate “your energy” (you become irritated, angry, impatient, etc.) and that you are personally connected to these traits in some way. They are a mirror of the things you have rejected in yourself. What you make up about them, project on them, and invest energy in, is also true of you. The more you try to protect yourself from yourself, the more your projections will seem to bear no resemblance to your self, and the more you will tell your self that you are not like that in any way. Example: All your brother ever talks about is himself and what he wants. You see him as selfish and self-centered. Now, you on the other hand, are totally “other” focused. The last thing you would want is for someone to think you are self-centered. People always tell you what a good listener you are, how giving, and how kindly you treat people. One possibility of why this trait in him is irritating to you is that you don’t feel very important, maybe you would like to be “selfish,” or maybe, like all of us to some degree, you really are. When you were growing up, your family was very poor and you started chipping in on household bills when you got your first job at 15. On top of living in relative poverty, your dad was sick a lot, so there needed to be a lot of attention and energy spent tending to him. Can you see why you had to become “selfless” in order to survive? How you would resent your brother for “putting himself first”? Children need to be a priority to parents. Their needs are important. The adults should not be relying on their children for support, emotionally or financially – in a perfect world. 2. Ask yourself how these traits help your significant “other” function or survive. All behavior is an attempt to control something, or get something done. No one does anything that doesn’t help them survive. What positive purpose are these behaviors serving? Example: When your brother was little, your dad (who was also sick), always told him how stupid and worthless he was. Now, to compensate, he needs to tell himself and others all the good things about himself. He went the opposite way you did in response to not getting the appropriate love, attention, and focus in his childhood. 3. Develop compassion when the person does things you don’t like. When you give, you get back. Every time you take a different attitude toward the thing that irritates or annoys you most, you change your attitude toward yourself. Compassion comes from understanding. Example: When you hear your brother go off about how great he is, you understand that this is an attempt to balance the scales of his own deep self-loathing and neediness. Now you can begin to go easier on yourself when you have feelings of unimportance. 4. Ask yourself how you are like the traits you dislike. Assume that the traits you dislike in another or that are unsettling to you are behaviors you needed to get rid of or hide at one point for security in your important primary relationships. What can you learn about your missing self? Ask the other person, if possible, what he or she wishes you had more of. What purpose could these “missing” traits be serving in you? What do you get out of NOT being like that? Example: You can see why you had to adopt a giving, sacrificial way to survive, right? Your needs unfortunately had to be subjugated to those of your family. But, it is important that you recognize that you do have needs and that they are valid – and important. We can also see how this adaptive response has served you: Who doesn’t like someone who always puts them first? 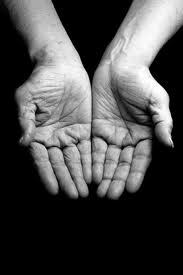 You can feel good, humble, self-sacrificing – even godly – when you give. But, in reality, as the giver, you’re the one in control (a place of perceived power). You decide who, what, when, and where to give. The receiver is never the one in charge (a place of perceived weakness). This is the way you maintain a measure of control, while outwardly assenting to allow the other person’s needs to take precedence over your own. It may be helpful to look at your relationship to both giving and receiving, as they are equally important and need to be in balance in any meaningful relationship. 5. Adopt more of the person’s disliked traits in a constructive way. Stop judging and condemning the traits you see in the other person, and see their value in perhaps a modified way. End the exile of your missing self, and integrate it back into your conscious self. Stop demonizing these aspects in the other person, and make them your own. Every trait, characteristic, or quality is a double-edged sword. How can you use the positive edge of the blade for the good of yourself and the other person? Example: You can now view your brother through the softer lens of understanding and compassion. Not that it is healthy for him to keep those behaviors, but that is his work – not yours. How can you learn to integrate the same acceptance toward yourself and your own inherent neediness? 6. Plan how you can attain the goals you’re trying to achieve by exercising the disliked traits in a more constructive way. How can you broaden your behavioral repertoire? Sometimes simply noticing, or recognizing that you want to integrate more of a particular quality will be enough. But, other times, you must intentionally plan a program with goals and schedules. Example: You may spend a couple of minutes each day making a list of how you are feeling and what you need. You might tell someone close one thing you need each day and request that they help you achieve it. Maybe you create a list of affirmations about how important you are, how you have needs that are valid – and at times take precedence over the needs or desires of others. Practice receiving. Dare to say no to someone else and yes to yourself today! When the “other” behaves in ways that cause you the most anxiety, you can greet the negative feelings with the countervailing thought that now you can begin to make positive changes. You will move from hatred to understanding to empathy to active reintegration. If you feel you need a professional helping hand to better understand and apply these concepts to your own life, Andrea & Bob Kamm have a practice in SLO called The Relationship Institute, where they offer training with Imago Relationships International, an organization founded by Harville Hendrix and Helen LaKelly Hunt.